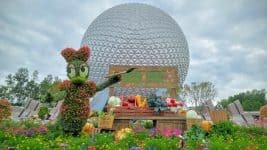 Home » Travel » Walt Disney World » Is the Disney Dining Plan worth it? In order to plan your Walt Disney World vacation, you’ve got to answer some Big Questions (When to go? Where to stay? What tickets to buy?, etc.). 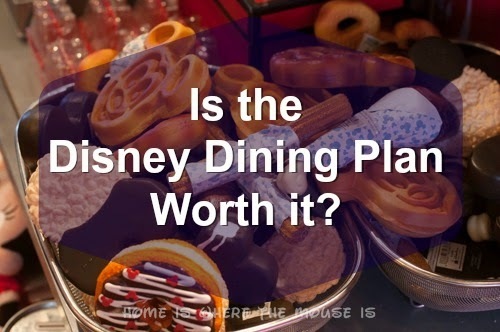 One of the toughest questions to answer on that list is whether or not to purchase the Disney Dining Plan. Many guests love the convenience of having a large portion of their meals already paid for, and some even claim that it’s a huge savings. Then there are guests who say the Dining Plan is too much food, that it forces you to spend too much of your time eating, or is more expensive than paying out of pocket. So, is the Disney Dining Plan worth it? Well, here’s how we look at it. The Disney Dining Plan is a prepaid package of meal credits that guests can purchase as an add-on to the Walt Disney World Resort stay. It’s only available to guests staying on Disney property. Premium and Platinum Plans – These are the Deluxe Dining Plan + additional levels of entertainment/recreation options. A meal consists of an entree, a non-alcoholic beverage, and a dessert (lunch and dinner) chosen separately unless part of a combo meal. All dining plans also come with 1 RFID refillable mug per person for the length of stay. For this post, we’ll be mostly considering the Quick-Service and Standard Dining Plans as they are the most popular. 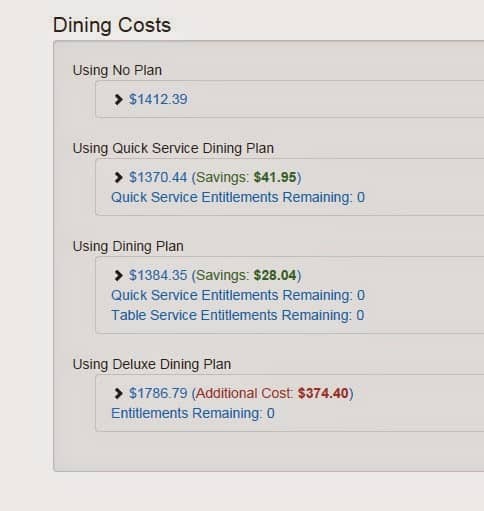 So how can we determine if a Dining Plan is worth the cost? “Worth” and “Value” can mean something different to everyone. For our purposes, we’ll consider the worth of the Dining Plan in terms of convenience and dollars spent. 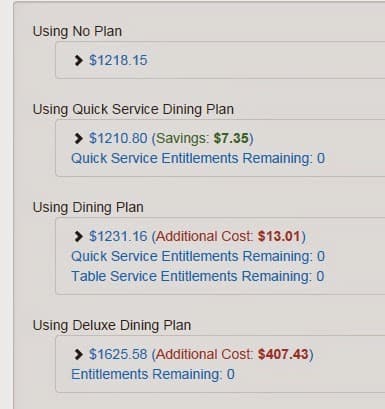 Simple math dictates that if you pay less for the Dining Plan than you pay for the same meals out of pocket, then you made out in the deal. If the numbers are about equal, then you are just looking at it from the standpoint of convenience. But how do you know how much you would have paid out of pocket ahead of time? One way is to plan out all your meals, look up the menus for those restaurants online and figure out what you are most likely to eat and add it all up to compare. That sounds very tedious and time consuming, and it is! It’s exactly what we did one year in order to figure this out for ourselves. In that case, it worked out on paper to paying slightly less out-of-pocket, so we didn’t buy the Dining Plan. Even though we normally plan for a park per day and make an average of one ADR per day of our trip, it’s still a very time consuming process to look at all the menus. There’s also plenty of room for error since you may not choose what you thought you would. So wouldn’t it be nice if there were an easier way? Unfortunately, the best we can do is estimate. 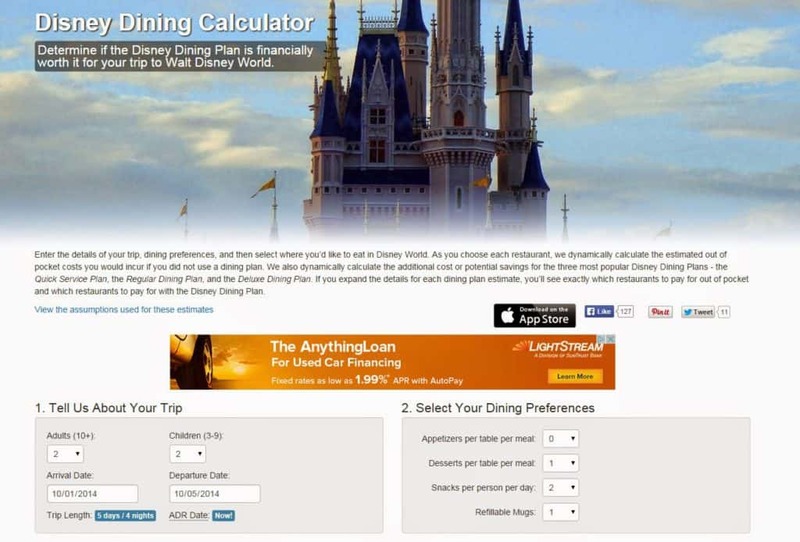 One of the more impressive attempts to do this is the “Disney Dining Calculator”. The tool works by letting you choose your meal locations for each meal of your trip and then uses the average price of a meal at that location as the value for comparison against the Dining Plan. 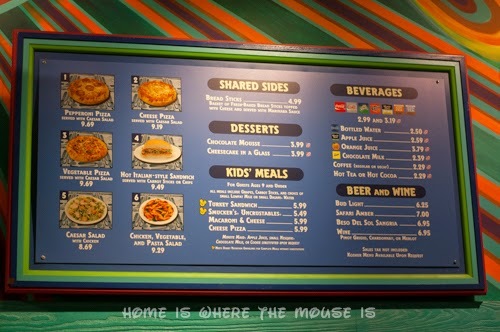 It even gives an average price of a QS meal across all locations if you want to keep those meals flexible. Unfortunately, there’s no average TS value. Playing with the variables, you might come out ahead or not. I created a plan for my family based on our most recent vacation and according to this tool, we would have spent $27 more using the Quick Service Plan, and $53 more on the Standard Plan. From playing around with the tool, one factor is obviously important. Children. And by that I mean “Disney” Children… meaning they are between 3-9 years old. Adding more children makes the math work better. Taking children away or adding adults (or children 10+ years old) makes it less likely to come out ahead. and slightly behind on DDP. With 2 added children, we are now making out on both QS and DDP. we are way in the red. So, the more children in your party, the more the Dining Plan seems to make sense, for your wallet at least. Why would Disney offer a Dining Plan if it there wasn’t some kind of profit in it for them? 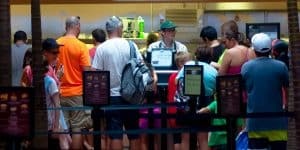 There are a lot of factors on Disney’s side of things as well, and we’re certainly not experts on this, but the way we see it Disney probably offers the Dining Plan because it’s better to have people’s money up front then to try to take it from them one meal at a time while they are on location. Unused credits are not refundable, and that’s one way the system can work in Disney’s favor. The other thing Disney does is to set a price on the plan that they feel is appropriate. Not every guest is going to order the most expensive entree on the menu. 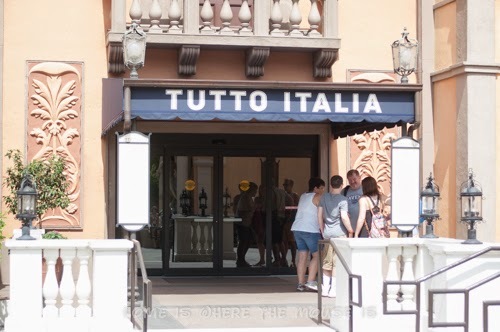 So for every guest who maximizes the monetary value of the Dining Plan, there are plenty that eat below value, and Disney probably sets the price to come out even or ahead more often than not. 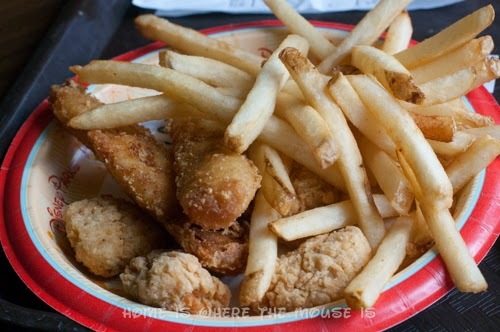 What value does Disney assign to its meals? As you can see, I’m rounding off my numbers to make it easier. The price of an Adult Standard Dining Plan is about $19 more than a QS plan, the only difference being trading one QS credit for one TS credit, so we can assume that an adult TS credit is $40. The difference for kids is much less at only $3, making it $11 for a TS credit. Those seem a bit high, especially the adult price, but remember we ignored the snack credit and refillable mug. If we estimate a value for those, it gets a little more realistic. At a QS lunch and dinner, adults get a dessert and a non-alcoholic beverage is included in the plan. So a $10 QS entree, $2.50 drink, and a $4.00 dessert would be $16.50. That’s very close to our estimate of $17! Breakfast does not include dessert, and tends to cost slightly less on its own, so you’ll have a harder time reaching that $17 value. Adult TS credits is where it gets interesting because an adult entree can vary in price from as little as $13 to $30 or more. Remembering to factor in a drink and dessert, you probably need to be ordering a close to a $30 entree to get your value. 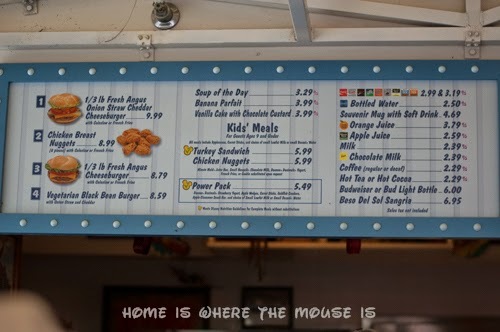 For children though, you can see that you’re paying a lot less, but keep in mind that for them, drinks and sides are included in their meals already, which might be $6.00 on average for a QS meal, and $9 for a TS meal. This supports our experience with the distripplanner tool where we found more value when there were more children in the party then adults. Is one plan more of a value than another? Using the values we determined, we can see that a family using the Quick Service plan has is already closer to getting their value out of their credits than a family on the Standard or Deluxe Dining plan. This is because there is less fluctuation in prices from one counter service restaurant to another. This means you’re more likely to come out even or ahead without having to work at it. At worst, you might come out slightly behind. On the other hand, Table Service restaurants have a much larger differential in pricing, and you can easily overpay by using the dining plan. We already determined the value of an adult TS meal to be around $36. But an entree at a TS restaurant could be under $20. This is the scale that Disney uses to let you know how much you should expect to spend on one average adult entree (except character dining and dinner shows, where the scale reflects the price of a full meal). 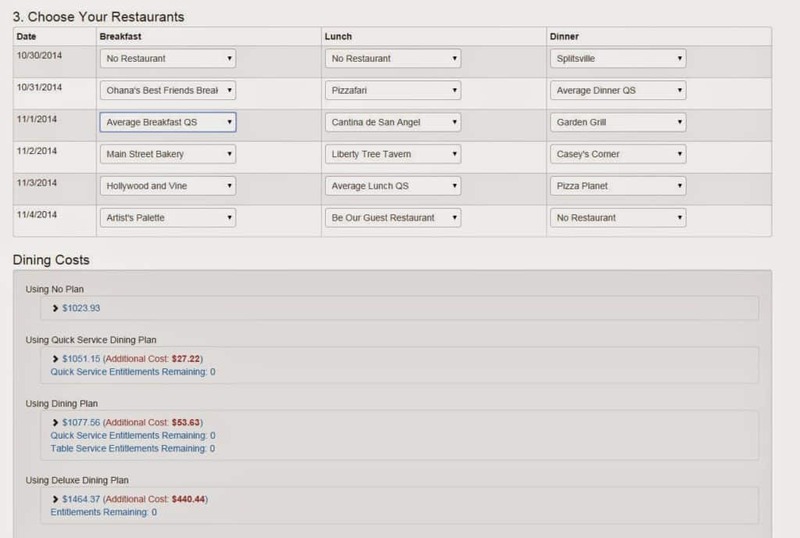 You can even sort your results on their site by this attribute, and by doing so, it turns out that out of the 63 restaurants listed as accepting the 2014 DDP, less than 15 of those are described by Disney as having an average entree or meal price of $30 or more per adult. Most of those are character dining experiences. That doesn’t include “Signature” Restaurants or Dinner Shows, which require 2 credits, and therefore have a value of $72 per adult meal. In case you’re wondering, all of the Signature restaurants fall into the $$$ (under $60) price range. Dinner shows are closer to value, falling getting into the $$$$ ($60+) range. While there is certainly potential here to come out ahead by always picking the most expensive options on the menu, there is also a lot of room to come in below value if you’re choosing the less expensive entrees. Why would Disney give the plans away for free? Is it really “free”? 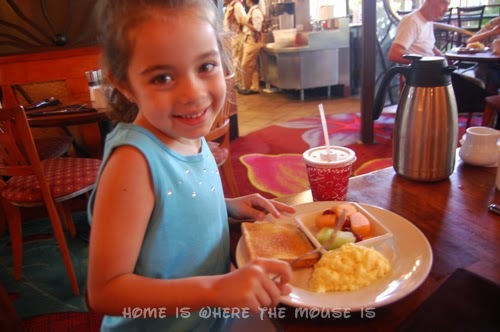 Sometimes Disney will run “Free Dining” promotions, where the Dining Plan is added on to your package for the length of your stay at no cost to you. It’s often noted that you end up paying “full rack rate” for your room as a result, but for many the cost of the dining plan would have been more money. 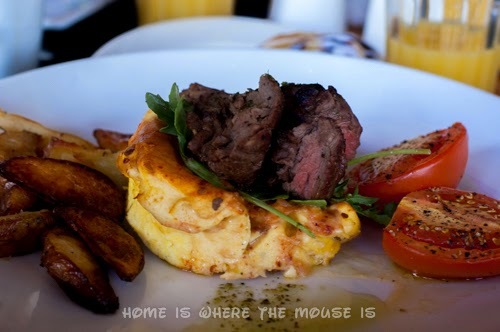 For example, a family of 4 at a value resort would get the QS Dining plan for free. That’s a $117 per night deal. I can’t imagine any discount off a value resort saving that much money off the room. Keeping in mind that “free dining” promotions are typically offered during the slower seasons, value rooms are usually only ranging from $100 to $140 per night. At a 25% discount, you’d be saving $25-$35 off per room. Even for one adult traveling solo, the free dining is a better deal. The Standard Dining Plan for a family of 4 is $158 per night. This freebie is given to guests at moderate and deluxe resorts during this promotion. Moderates in low season can run $200-$270 per night depending on type of room. Typically a good discount for moderates is 30% off, which would only be $60-$81 per night. Deluxe resorts run $350-$400 at minimum, and at a great 40% discount, you’d still only be getting $140-160. So unless you’re getting an incredible discount at a deluxe, more often the “free dining” is a better deal for the average family. Solo travelers, couples, or one parent with a child or two staying moderate or deluxe may be the exception to that rule. 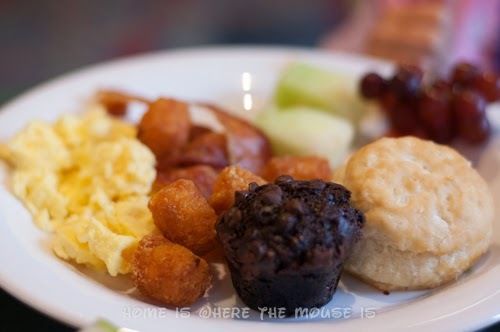 That said, if you are budget conscious and have a choice between free dining or a decent room discount, I would take the room discount because there are plenty of other ways to save money on eating while at Walt Disney World. 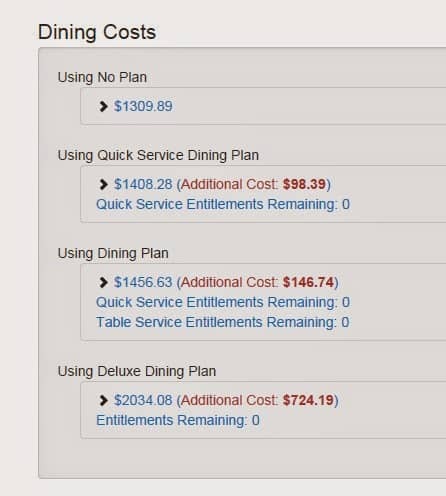 All things being equal, is the dining plan more convenient than paying out of pocket? If you’ve ever taken an all-inclusive vacation, then you know the feeling of freedom that comes with being able to eat what you want, whenever you want it, with the comfort of knowing it’s all paid for. 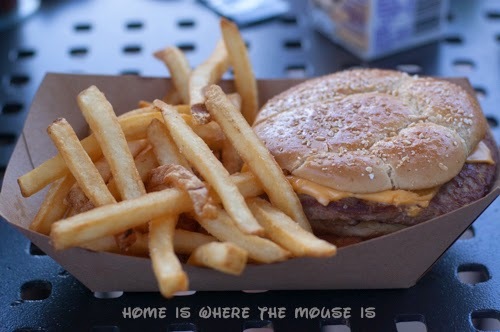 The Disney Dining Plan does not come close to that. Sure, for the budget-minded it is certainly reassuring to know that many of your meals are paid for in advance, but you’re still paying out of pocket at some point. 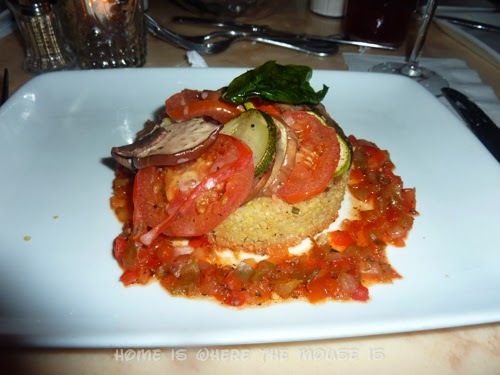 Like a wish from Aladdin’s magic lamp, there are certain quid pro quos that go with using the Dining Plan, such as not including appetizers or alcoholic beverages. Even if you opt for the Deluxe Dining Plan with 3 meals each day plus 2 snacks and drinks, you can still end up paying for alcohol, appetizers, and any extra side dishes at your meals. With the smaller plans, you’ve got a whole third meal to pay for yourself. Having a credit system also means you have to keep track of those credits to ensure that they all get used appropriately. I’ve heard plenty of stories of families scrambling to use up all their unused credits on the last day of their trip. But on the flip side, if you are the type that loves to have things planned out to the smallest details and doesn’t mind keeping track of credits, then this could certainly be seen as a plus! For us, the limitations and rules make the Dining Plan a bit complicated. 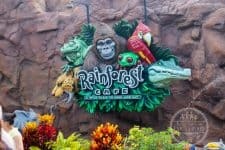 We’d rather put money away on a Disney Gift Card and use that to pay for our meals to get that feeling of having our meals being pre-paid, without the limitations of the dining plan, and the pressure to use all our credits. For discounts, we rely on our DVC membership or purchase a Tables in Wonderland card. 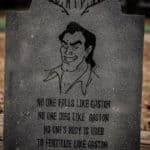 After this somewhat in-depth analysis, have we come to any concrete conclusions? 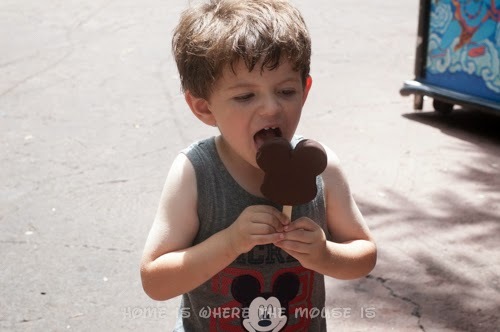 From a value standpoint, the Disney Dining Plan can be a worth it, and we’ve certainly identified some strategies that can help get the most bang for your buck! Make sure you’ll Utilize your Credits. For the Standard Plan, that means averaging one Table Service meal each day of your trip. Have Kids Who Eat. The plans are skewed toward children for value, especially if they’ll eat what you put in front of them. Use for lunch and Dinner instead of Breakfast. Generally speaking, breakfast is less expensive and you also don’t get “dessert”. 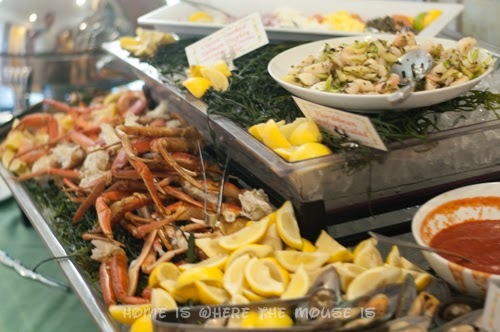 The exception to this rule are the character buffets! Do Multiple Character Meals. The fixed price character meals are more expensive than your average table service meal, and a good value on the dining plan. Share Snacks. Snack credits can be used for many items. Several of these are easily to share (think funnel cake). Pick the Choice Entrees. By all means, choose something you’ll enjoy, but the pricier the item is, the more “value” you are getting. 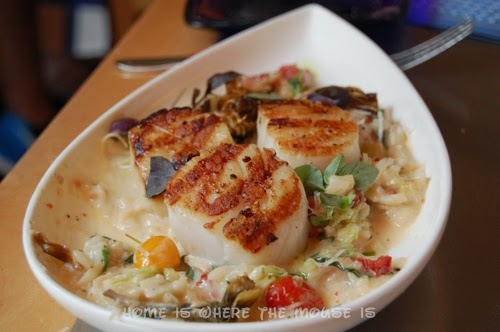 Avoid Signature Restaurants – It’s difficult enough to find a regular restaurant with entrees that will get you over the “value” mark. Signature restaurants cost double the credits, and it’s that much harder to get value. Do Dinner Shows. Like character meals, these experiences cost more than a signature meal, so you’re getting more value for double credits. Won’t Always Be on Property. Credits are only good at Disney. If you plan on visiting other attractions in the area, you might not be on property enough to use them. 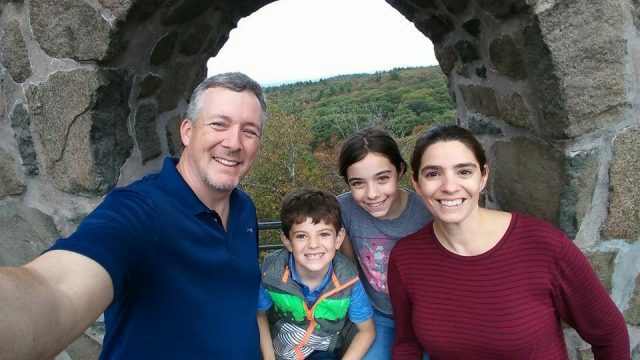 Are Traveling Without Kids. It takes more work for adults to get value from the plans. Want to Save Money. While you can save money with the Dining Plan, there are other ways to save that give you more flexibility, especially if you have access to other discounts. Prefer Signature Dining. The fine dining experiences at Disney are fantastic, but they’re not a good value on the dining plans. Don’t Eat A Lot. Not everybody eats 3 full meals a day. With so much to see and do in WDW, you may not want to. Not being on the plan will also let you share meals to cut down on wasted food. Don’t Like to Plan 6 Months Out. Having the standard or deluxe plan will require making reservations (at least one per day) at 180 days out to get tables at the most popular restaurants. Don’t Like to Feel Limited. There’s nothing that says you can’t get an appetizer, a salad, or an adult beverage with your meals. You’ll just have to pay for them separately. That said, if “Free Dining” is offered for a time you want to go to Walt Disney World, and there isn’t another discount available, then I would certainly use it. It just wouldn’t be the main factor in determining when I choose to go. 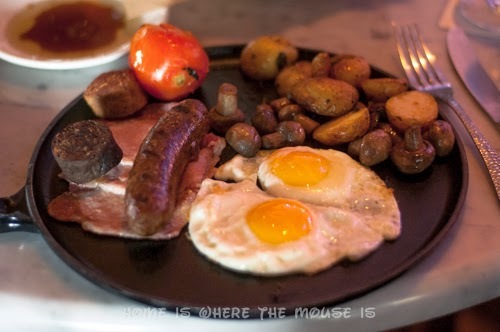 I hope this look at the Disney Dining Plan was helpful. It’s a complex subject and there’s room for many viewpoints, including yours. 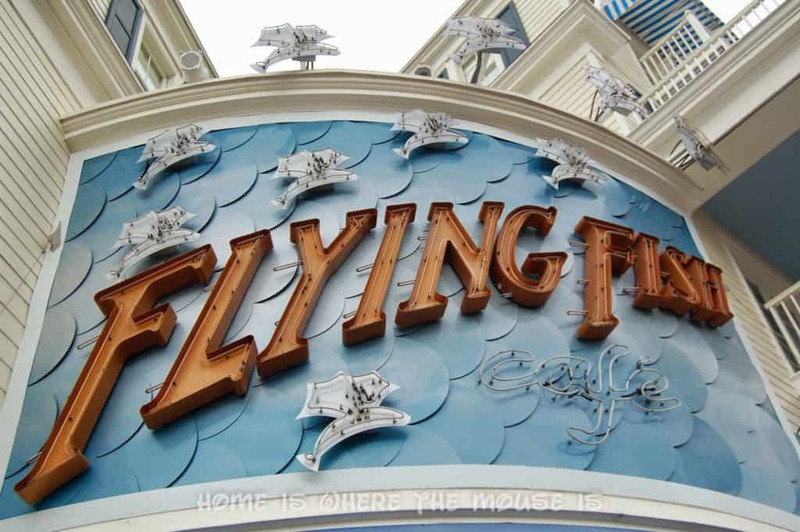 Share your opinions and experiences with the Disney Dining Plan in our comments below!! What Say You?? 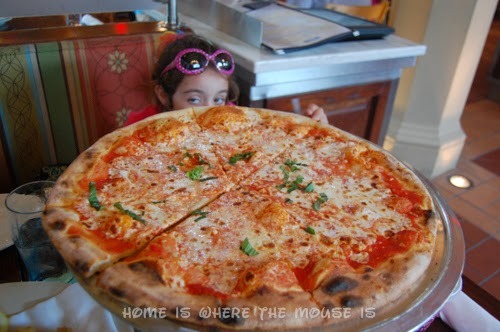 Disney Dining Plan – Yes or No? !